Olympic medallists Jade Jones, Bianca Walkden and Lutalo Muhammad will lead a 15-strong British team at the World Taekwondo Championships in Manchester. 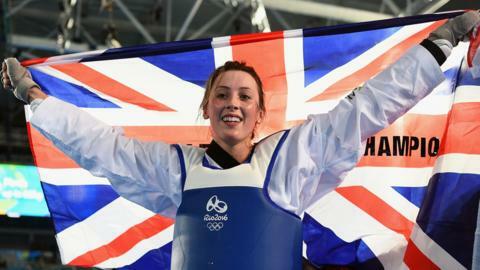 Britain's Amy Truesdale misses out on her third World Para-taekwondo title, losing in the quarter-finals in Turkey. Matt Bush earns a sudden-death golden-point victory to clinch Great Britain's first title at the World Para-taekwondo Championships. Britain's Amy Truesdale hopes to secure her place at the Tokyo 2020 Paralympics by defending her world crown at the World Para-taekwondo championships in Turkey. Read more on Is boxing or MMA safe for children?